Spanish Harlem Orchestra has proven itself to be one of the most successful salsa bands performing in 2006. 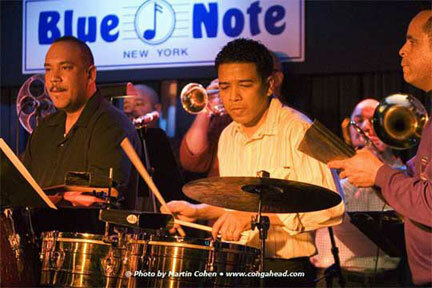 Their work has taken them throughout Europe and Asia and their performance at NYC's Blue Note in February was unique as that club is predominately a jazz club. I am proud to note that this international phenomenon chooses another international giant, Latin Percussion, for their percussion needs. When you travel this much, the last thing you want is for your percussion to let you down.